Uninsured Motorist Settlements | Who Can Recover Money Damages? Who is Covered in Maryland Uninsured Motorist Claims? 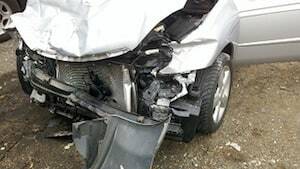 Maryland's uninsured motorist coverage gives insurance coverage for harm that is done to the "insured" when they are injured by the negligence of an uninsured motor vehicle. If you define "insured" using common understandings of the term, you miss out on a lot of victims who are able to bring claims under the Maryland insurance statutory scheme. Because the word "insured' is construed very broadly. does not have enough coverage to satisfy the victim's losses. Lawyers have made up a word to describe the latter category: underinsured. What Is Required to Bring an Uninsured Motorist Claim in Maryland? a surviving relative of the insured, who is described in §3-904 of the Courts Article, is entitled to recover from the owner or operator of an uninsured motor vehicle because the insured died as the result of a motor vehicle accident arising out of the ownership, maintenance, or use of the uninsured motor vehicle. The victim must be an insured, a broad term that does not require you to be the policyholder or sometime even know who the actual insured is. The person must be entitled to recover damages for bodily injuries from the at-fault driver if that driver had had insurance coverage at the time of the accident. In other words, you have to have a viable claim if the defendant had had car insurance. There is also coverage for the victims who are wrongful death or survival action beneficiaries. In this case, the plaintiffs must be the relatives of the deceased who would have been entitled to uninsured motorist coverage. The injury or death must be the result of the "ownership, maintenance, or use of the uninsured motor vehicle." Sometimes, what constitutes this use is a fuzzy line and the Maryland courts have had a number of occasions to address this issue head-on. The victim cannot be excluded by a warranty in the insurance contract or any other reason. You or any family member. Okay, you may have figured that part out already. This is the easy one. You and your family are covered unless someone is excluded for some reason. Any other person occupying your covered auto. Maryland law has not fully flushed out the legal meaning of occupied, but it is not an issue in 99% of the cases. It generally means anyone in or driving an insured vehicle with permission. This strikes people as odd because they are the "covered insured" in a vehicle they did not own. Maryland law tries to liberally construe who is covered in these kinds of cases because the law bends towards finding coverage. Any person is entitled to recover for “bodily injury” to which this coverage applied, that was sustained by a person described in 1. or 2. above. This allows people who did not suffer bodily injuries to bring their derivative claims. Examples of this would be wrongful death beneficiaries, parents making claims for the medical bills for their minor children, and loss of consortium claims. The gist of all of this is that the law is written expansively in order to cover people who would have had a hard time imaging they were an insured that has coverage. Maryland's uninsured motorist laws bend over backward to try to find compensation for victims. But making these claims alone is extremely tough. There are so many blind alleys that the insurance company can lead you down that can damage or destroy your claim. More to the point, your own insurance company is still against you. They want to limit your settlement payout to as close to zero as they possibly can. Our law firm is loaded with lawyers who are experienced in dealing with uninsured motorist issues in Maryland. One of our lawyers is a professor of insurance law. Three others have taught other Maryland lawyers on details of how these laws work and how to best maximize the value of these claims. If you want to discuss your potential claim with an experienced Maryland uninsured motorist attorney, call 800-553-8082 or get a free no obligation case consultation. Single Vehicle Crashes: Can I make a claim?